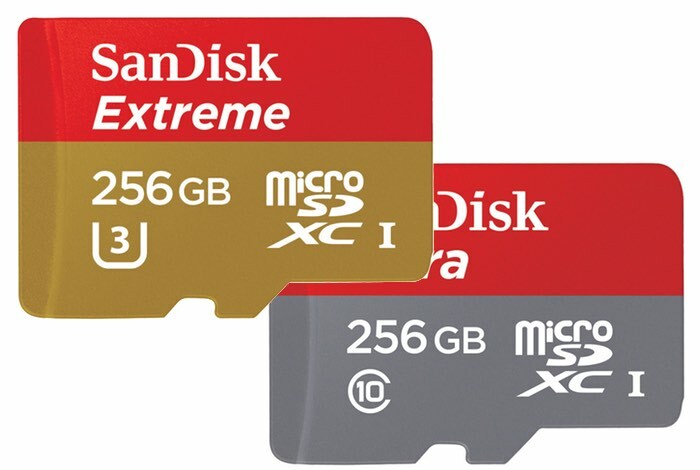 Western Digital who completed the purchase of SanDisk last month for $16 billion has this week announced the launch of the world’s fastest 256GB microSD card. Which comes in the form of a new range that includes the new 256GB SanDisk Extreme microSDXC UHS-I card, the fastest microSD card in its class. As well as the new 256GB SanDisk Ultra microSDXC UHS-I card, Premium Edition, the first 256GB card which has been specifically optimised for mainstream consumers. The 256GB SanDisk Ultra microSDXC UHS-I card, Premium Edition will start shipping in August 2016 and will be priced at $149.99. While the 256GB SanDisk Extreme microSDXC UHS-I card will launch in Q4 2016 priced at $200. Western Digital explains more about the speeds you can expect from the new microSD cards.